The genomes of Pneumocystis species infecting mice, humans, rats, and ferrets have been estimated to be 6.5, 7.0, 7.7, and 11 Mb of DNA, respectively, which are relatively small genome sizes for a fungus when compared with, for example, the 12-Mb Saccharomyces cerevisiae genome. Chromosome organization has not been definitely determined because extensive chromosome polymorphism has been characterized among different strains of rat P. carinii. By pulsed field gel electrophoresis (PFGE), the estimation is that the genome of rat P. carinii is likely divided into 15 chromosomes of 0.3-0.7 Mb size. There is an ongoing sequencing project with a goal to provide physical maps and gene sequences for the entire genomes of rat P. carinii and human P. jiroveci (http: //biology.uky.edu/Pc/). Phylogenetic analysis based on nuclear 16S-like RNA has not identified any close relatives, but fungal organisms on neighboring branches include the fission yeast, Schizosaccharomyces pombe. However, in contrast to most other fungi, Pneumocystis has a fragile cell wall and contains little or no ergosterol. The typical Pneumocystis gene is rich in A and T (6065%), and contains numerous (up to nine) introns of less than 50 bp length. 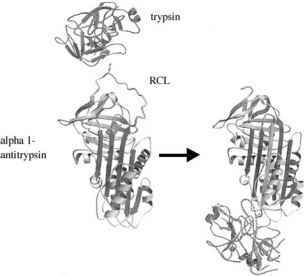 To date, the major surface glycoprotein (MSG; also called glycoprotein A) is the only antigen of human P. jiroveci that has been well characterized. MSG is the most abundant surface protein present in all Pneumocystis strains examined to date. The 95- to 140-kDA MSG is encoded by a multicopy gene family, distributed among all chromosomes. This protein has a crucial role in interactions with the host, possibly by acting as an attachment ligand to lung cells, and in elicitation of an immune response. MSG shows a high level of antigenic variation by switching the expression of MSG genes using a single expression site termed the upstream conserved sequence (UCS). It is likely that it serves for evasion of the host immune response by use of antigenic variability. A number of genes encoding enzymes have been described. Of particular potential clinical interest is the dihydropteroate synthase (DHPS) gene encoding the target enzyme of sulfa drugs. Nonsynonymous mutations occurring at six nucleotide positions, resulting in amino acid changes, have been reported. Two of these mutations, encoding amino acids at positions 55 and 57, are located in the active site of the enzyme, and mutations at homologous positions have been shown to cause sulfa resistance in other organisms. Most studies have found a correlation of these two DHPS mutations with prior sulfa exposure, suggesting evolutionary selective pressure of sulfa drugs and hence a pharmacologically significant effect. The clinical significance of DHPS mutations still has to be elucidated.